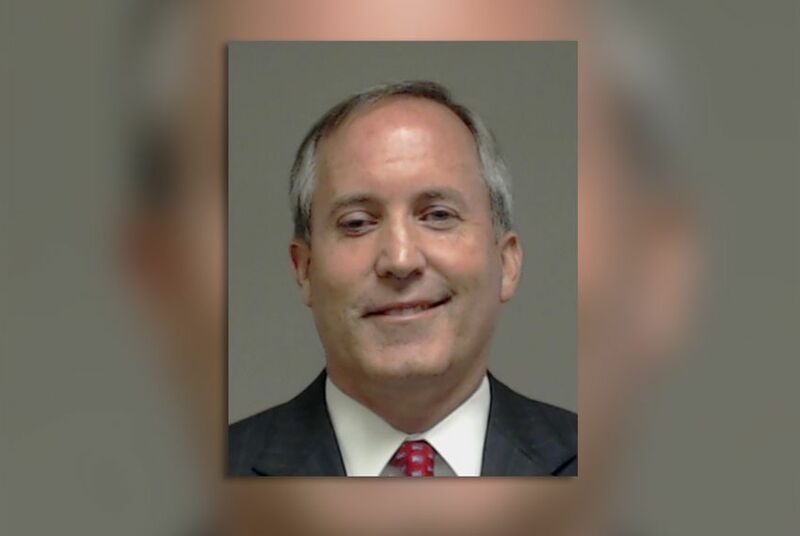 Texas Attorney General Ken Paxton appeared for booking in Collin County prior to the public release of a securities fraud indictment against him. Within minutes, Democrats and liberal groups began calling for his resignation. An indictment is not a finding of guilt, however, and Paxton has no obligation to step down. On Monday afternoon, Paxton's lawyer released a statement saying that he would plead not guilty and seek a trial by jury. "He is looking forward to the opportunity to tell his side of the story" in court, said attorney Joe Kendall. "In the meantime, the Attorney General is returning to Austin to focus on his work on behalf of the citizens of Texas." Paxton faces three counts: two for securities fraud, and another for acting as an investment advisor or representative without registering. The indictments were unsealed Monday. They allege that Paxton offered to sell two people more than $100,000 worth of stock in a McKinney technology company, but didn’t disclose that the company was compensating him. The indictment comes as Servergy is in its own legal trouble. Federal investigators are looking into whether it defrauded investors with false claims about the sales of its data servers and their technological capabilities, according to court filings. Paxton’s dealings with Servergy appear to have been uncovered during the special prosecutors’ investigation. The case that launched that investigation was his admission that he advised clients without a license for Mowery Capital Management, a business run by his business partner and adviser Frederick “Fritz” Mowery. Paxton began working as a solicitor for companies run by Mowery in 2001. Mowery is also facing scrutiny from regulators. The State Securities Board has been seeking for months to revoke the company’s investment advisor registration. On Friday, two administrative judges recommended against that idea, but did conclude that the company should be fined $60,000. The company is accused of failing to disclose a past bankruptcy to clients and making “material misrepresentations” to securities board staff during an investigation. The administrative judges’ decision isn’t final, and the securities board said Monday that it is likely to disagree with some of it. The judges' filing “is just another step in this ongoing process,” said agency spokesman Robert Elder. Paxton, a lawyer, was paid a 30 percent commission to refer clients to Mowery Capital Management, records indicate. The Texas GOP quickly jumped to Paxton's defense. The statewide party released a statement minutes after his booking that criticized the “sloppy process” that led to the charges. THE GRAND JURY for the County of Collin, State of Texas, duly selected, impaneled, sworn, charged and organized as such by the 416th District Court for the said County at the July Term, A.D. 2015 of the said Court, upon their oaths present in and to said Court that WARREN KENNETH PAXTON, JR., hereinafter styled Defendant on or about the 18th day of July, 2012 and before the presentment of this indictment, in the County and State aforesaid, did then and there knowingly and intentionally render services as an investor investment advisor representative to James and Freddie Henry and the aforesaid WARREN KENNETH PAXTON, JR., was then and there not duly registered as an investment advisor representative by and with the Securities Commissioner of the State of Texas.